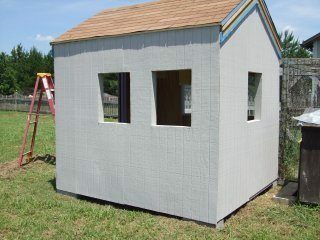 Finishing up the Hen House! 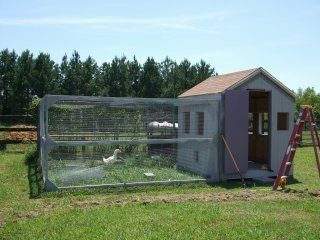 The peeps are getting big so they will move in before the house is done. This set the priority of what gets done first. I needed to get the wire on the run and the floor down in the house. Linoleum floor tiles! This is looking more like a house now! The floor wasn't perfect but I made an attempt to smooth it out and followed the manufactures instructions before putting the tile down. I don't have time to put up inside walls. 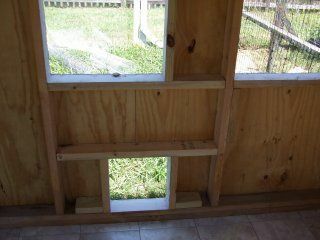 Here is a shot of the inside framing of the windows and the chicken door. It will have to due for now. I put hardware cloth on the run. I used the 2x4 welded wire on the ducks run and had problems with it breaking at the joints so I thought I would try something different. 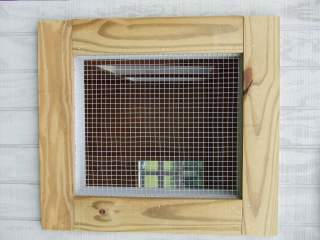 I nailed hardware cloth on the outsides of all the windows using fence staples. 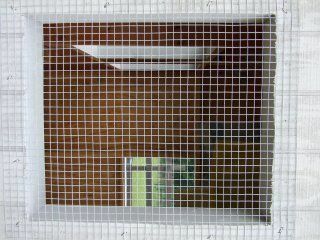 The trim was nailed over the hardware cloth. I was puzzled at first because the link took me straight to page 4! I wondered what happened to pages 1- 3. Then I saw the other page links near the bottom of the page and started over with page 1! It made a lot more sense, and I saw that there was a page 5 too. I liked your supply list and how you talked about what worked and what didn't. 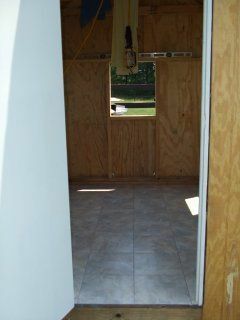 I thought that saving the wood from the windows being cut out to use as hurricane shutters was a great idea!